February 2003!! Ready to ship - we ll do it for you!! We are partners with Maersk Lines ...$300 m/t delivered most ports !! 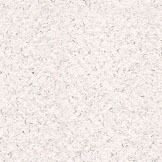 White Top Linerboard - high quality ; this is tonnage from the Antioch (California) Mill, and the Bogalusa, Louisiana Mill. Bogalusa is a huge mill, but just shut down three machines due to overcapacity in the US. A major client of theirs is liquidating their stock. So, we have nice quality 69lb and 56lb white top linerboard- real cheap!! The characteristics are- excellent resistance to humidity, nice printability, and can withstand significant amounts of weight - you can stack other cartons on top without problems. This is exactly the quality produced by IP and Inland Temple group that bought Bogalusa- for high value added fruit boxes and other end uses. We have available around 200+ metric tons from one of their main clients. LN- Recycled 52, 54 ,58"(132, 137, 147 cms) 24 metric tons. $250 m/t port USA or $300 m/t delivered will do it!! This will go fast! !